Happy Friday the 13th. It’s been 364 days since the last time we announced our annual La Muerta release…so it’s about that time. 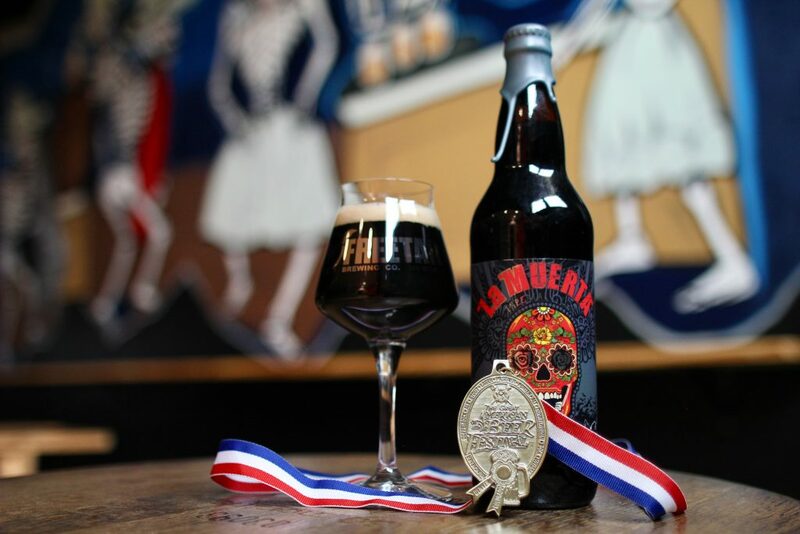 This year is a little extra special, not just because it’s the 10th iteration of our smoked imperial stout, but you may have heard that we recently captured Gold at GABF in the Aged Beer category for the 2014 edition of La Muerta (good thing we saved a few bottles…we told you this would age wonderfully…says so right on the label!). La Muerta 2017: There are some slight changes in the specialty malt bill, but no anticipated changes to the finished beer. We mostly just wanted to try out some Chilean malts (hey Patagonia Malts…if you are reading this…maybe we need to come visit your facility?). 9.9% ABV. 50 IBU. Port Barrel Finished Whiskey – This one is a little harder to explain in a concise way, but here we go: this was a port barrel that was filled with Breckenridge whiskey to finish it. It was a port barrel. Then it became a whiskey barrel. Now it’s a La Muerta barrel. note: Brewery will be closed for normal business. this will also be an early opportunity for ticket holder(s) to purchase La Muerta 2017 bottles. 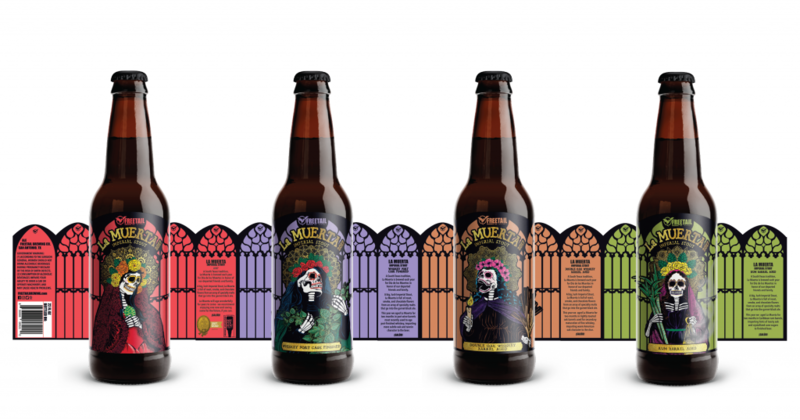 Dinner attendee(s) will have the opportunity to buy 2 bottles of regular La Muerta and 1 of each variant. Friday 11/3: La Muerta Cellar Day at our 1604 Brewpub. We will have 2014, 2015 and 2016 bottles available at the pub (for on-premise consumption only). 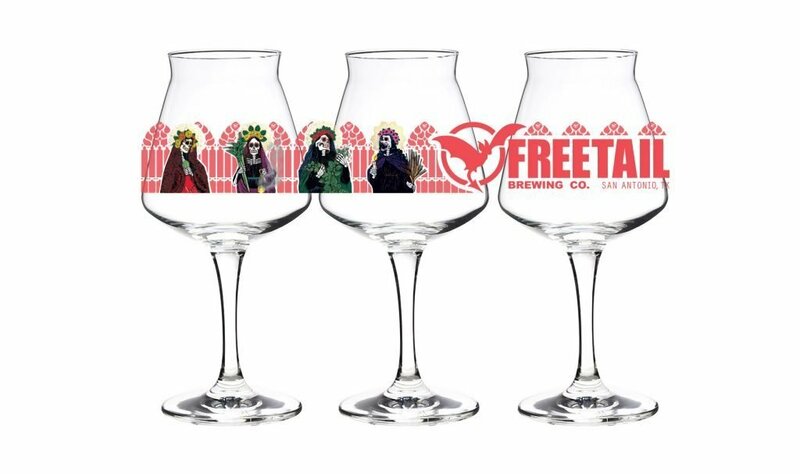 $25 GA (150 available): Includes your first bottle of La Muerta, an acrylic Día de La Muerta X taster glass, and four 5oz pours of any beers we’re serving that evening. all beers will be purchased on a ticket system, like a festival. Ticket purchasing stations (separate from the beer stations) will be set up to buy additional beer tickets. we will have a separate merch table to keep the main bar registers free to process bottle purchases exclusively. ALL TICKETS WILL ENSURE YOU GET A MINIMUM FULL ALLOTMENT OF 3 BOTTLES OF LA MUERTA (the first is included with your ticket) and 2 BOTTLES OF EACH VARIANT. If we do not sell all tickets, we will increase the allotment size. Tickets for the Día de los Muertos Dinner will go on sale Monday 10/16. Tickets will be $80 (+ fees). Gratuity is not included in the ticket price. HERE IS THE LINK TO THE DINNER TICKETS WHICH INCLUDES THE MENU. Tickets for the Día de La Muerta X Festival will go on sale in two waves: one morning sales session + one evening sales session to accommodate various work schedules. The first half (exactly half of the tickets) will go on sale on Tuesday 10/17 at 10am. HERE IS THE LINK TO BUY TICKETS. The second half (the other half of the tickets, plus anything left over from the morning) will go on sale Tuesday 10/17 at 8pm. HERE IS THE LINK TO BUY TICKETS. A third “bottles only” ticket will be available for those out of town or who don’t want to come to the festival. A “bottles only” ticket will be $12 (+ fees) and will include your first bottle of regular La Muerta and entitle you to buy 1 more bottle of regular La Muerta and 1 of each variant. You will have to purchase/pickup your bottles by end of day Saturday 11/11. “Bottles only” tickets will go on sale during the waves described above. Oh yeah, there will be a Teku. Available as an add-on to your ticket. $15 + fees, per usual. Here it is. Only 100 available. Q: Can I just buy bottles? A: Yes, buy a “bottles only” ticket. There are only 100 of these. Q: What if your ticket mix is all wrong? A: If we see that Festival tickets sell out super fast and people aren’t buying a lot of “bottles only” tickets, we reserve the right to change the number of tickets and/or offer more tickets. However, the allocations will not go lower than the numbers quoted above. Q: Why all the changes? I liked the old way! Q: Can I buy multiple tickets to get multiple allocations? Q: If I go to the Dinner and buy my allocation can I still get a full allocation at the Festival? A: YES! This is the only way to get multiple allocations. Q: Can you make it clear exactly what the allotments are? Q: Can I just buy tickets to the bottle share? A: No. This is Dia de La Muerta. No one without a VIP ticket will be admitted to the bottle share under ANY circumstance. Q: I just want to come drink beer, is the brewery still open? A: Yes! We will be open during our usual hours. However, even if you aren’t participating in the festival, you will still need to buy beer tickets and pay for your beers that way. Q: Will there be wax? A: Wax is back this year. Don’t yell at me.